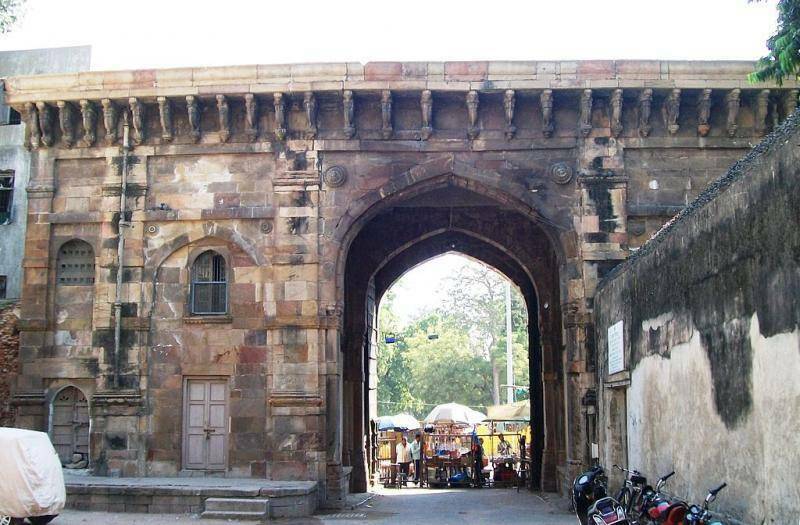 Bhadra Fort is located within the walled city area of Ahmedabad and one of the most famous monuments of the city. Bhadra Fort was built by Ahmedabad's founder sultan Ahmad Shah I during the Maratha rule in 1411 AD. Bhadra Fort has Bhadrakali Temple inside it, which is dedicated to the Hindu Goddess 'Bhadrakali' or Kali. Besides temple, fort also houses few government offices. Every year huge number of tourists from all over India visit this place to see and enjoy its – majestic palace, lush green surroundings, rich heritage and its unique red stoned impressive architecture. It is believed that goddess Lakshmi’s had once visited this place and had blessed sultan, his people and the place with prosperity and goodness. This fort situated in the heart of the city is a place one should surely visit. Be here with your family and friends to learn, understand and value the heritage of Gujarat. Bhadra Fort houses a castle and the delightful Nagina Baugh and Ahmed Shah Mosque on the west side and an open region regarded as Maidan-Shah on the east side. Bhadra Fort also serves as venue for Independence Day and Republic day celebrations. Approach to the fort is quite congested due to the market surrounding the fort.